Raceway Park of the Midlands, 19340 Jesup Ave.
Our May Porsche & Pancakes club breakfast will be on Saturday, May 11th, at Garden Cafe at 11040 Oak Street in Omaha. We'll meet at 8 am. We hope to see you there. If you have any questions, contact Chris Coda at christopher_coda@hotmail.com. 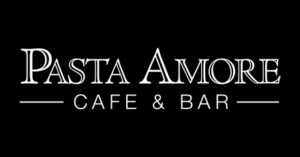 Save the date for a Self-Pay Dinner on Saturday, May 18th, at 6:00 pm at Pasta Amore in Rockbrook Village, Omaha. Watch for more information to come. The annual Carrera GT Club Race and Advanced DE will be May 31st through June 2nd at Motorsport Park Hastings. Details TBA! Once again, the Club Race Party at the Tessman's will be Saturday, June 1st, after the day's track events. You must be a Club Racer, DE participant, or GPR member to attend this event! Details TBA. 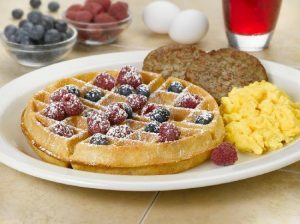 Our June Porsche & Pancakes club breakfast will be on Saturday, June 8th, at Garden Cafe at 11040 Oak Street in Omaha. We'll meet at 8 am. We hope to see you there. If you have any questions, contact Chris Coda at christopher_coda@hotmail.com. The annual GPR Picnic & Porsche Car Show will be held on Sunday, June 30th, at Walnut Grove Pavillion in Omaha. Details TBA. Our July Porsche & Pancakes club breakfast will be on Saturday, July 13th, at Garden Cafe at 11040 Oak Street in Omaha. We'll meet at 8 am. We hope to see you there. If you have any questions, contact Chris Coda at christopher_coda@hotmail.com. The 2019 Porsche Parade will be in Boca Raton, FL, from July 21st through 27th. Check out the Porsche Parade website for more details!